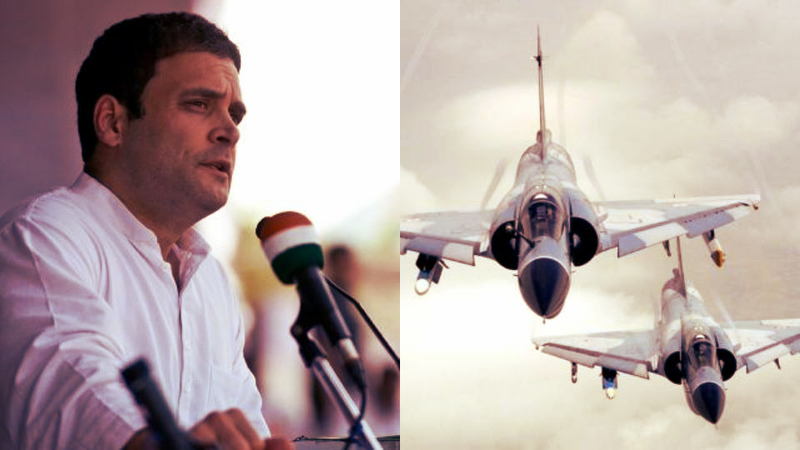 “Gnat… MiG-27… Mirage 2000… all HAL-built aircraft,” Rahul Gandhi said, hoping to establish that aircraft acquired under administrations led by his party in the past, had gone on to be built in India. It was an attempt to jeer at the Narendra Modi government’s vaunted ‘Make in India’ program that has sought to make India a hub for manufacture. While Livefist fact-checked the obvious error in Mr Gandhi’s assertions — and it is unlikely that the error hasn’t been brought to his notice — the gaffe ironically strikes at the very heart of India’s present fighter aircraft conundrum. Unlike the Gnat and MiG-27, the French Mirage 2000 was never built by HAL, despite an offer that ran for over two decades to do so. 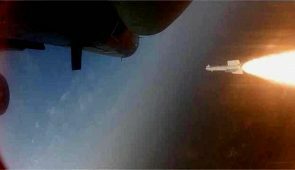 And Rahul Gandhi’s error in asserting that it was an HAL-built jet actually amplifies the little known but damning genesis of the current fighter quagmire, where squadron numbers stand bedeviled by budgets, the monstrous cascading effect of poor planning and an ad-hoc acquisition ethic. By most accounts, it actually began by a Congress government’s decision not to build 110 Mirage 2000 jets at HAL in the eighties, and instead simply settle for 40 jets bought off the shelf from Dassault Aviation’s factory in Bordeaux. Simply put, the irony is this: if the Congress government, in the eighties, had actually decided to accept a French government offer to license build 110 Mirage 2000 jets in country by HAL instead of acquiring only a pair of squadrons off the shelf from France, a significant part of the country’s squadron woes — not all, mind you — would likely have been stemmed at the source. By all accounts, the Mirage 2000 has proven to be the sturdiest, most reliable jet in Indian military service. Air Marshal Anil Chopra (Retd. 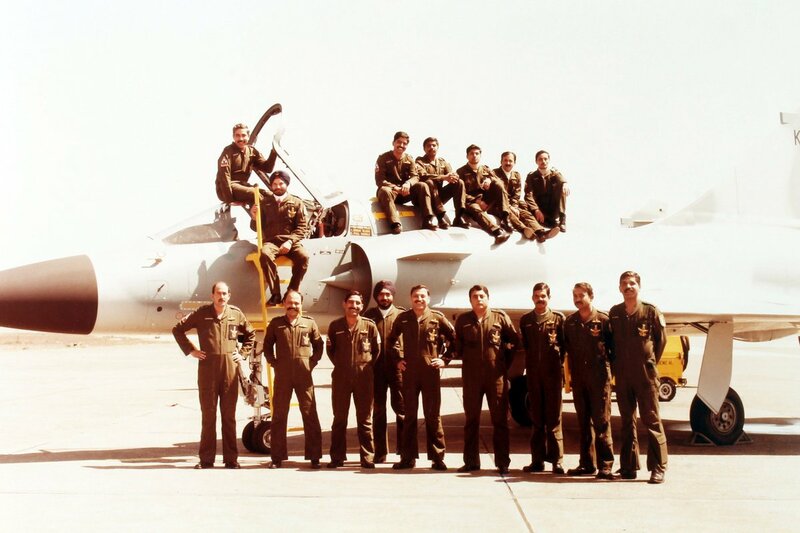 ), who as a young Squadron Leader, was part of the team that ferried India’s first Mirage 2000H jets back from France in the mid-eighties is among a large section of the Indian Air Force that rues what they believe was a historic faux pas that the country is still paying for today. “The Mirage 2000 was selected in 1980s to counter the F-16 sale to Pakistan. The aircraft has been most versatile and has maintained a very high mission success rate. It also for the first time brought in a modern air intercept radar and comprehensive electronic warfare suite. Since the contract signing in 1982, the French had offered Mirage license production in India — an offer that was open till 2006. The IAF was and is very happy with the aircraft. It had proved a game changer during Kargil. If the decision to make Mirage 2000 in India had been made then, IAF would not have been in the numbers and capability mess it is today,” says Air Marshal Chopra, who commanded the 1 Squadron ‘Tigers’ at Gwalior. In other words, the government of the day procured two separate jet types — the Mirage 2000 and MiG-29 — without choosing to license build either at HAL, settling instead for flyaway deals that only involved aircraft built in the makers’ factories in France and the USSR. Both aircraft types are currently involved in complex upgrade programs to improve capabilities and performance. The French offer to build Mirage 2000 jets in India stood for 22 years from 1984-2006. After the Kargil War in 1999, the Indian Air Force strenuously argued with the Atal Bihari Vajpayee government of the day for more Mirage 2000 fighters, willing to even settle for the older Mirage 2000H variant, instead of the new 2000-5 variant that was now being built on Dassault’s line. A final opportunity to build the Mirage 2000 was finally dismissed, with a decision taken to conduct a contest for new fighters. Air Marshal Padamjit Singh Ahluwalia (Retd. ), who commanded the Gwalior Air Force Station during the Kargil war, and oversaw the use of the base’s Mirage 2000 squadrons in precision bombings of Pakistani positions, has long held that India’s decision not to grab the offer of a Mirage 2000 production line in the eighties has had a damaging and compounding effect on India’s fighter aircraft situation. We the citizens of India do not want any more imported planes. We only want indigenous planes henceforth. From now on, no more dalals, no more scams, no more drama. Then u srnd ur sons and daughters tied in coffins rather than brave young men and women as the nonsense made in india will not last 1 min against international quality enemy fighters. Look at that useless LCA the pilots laugh in private about ! We want an Air Force with Plan B, Plan C among indigenous platforms, not imports. rameshmaediratta@yahoo.com : Why cannot you leave such matters to the Air Force Chief and Defence Ministry to establish… No longer is our capability to decide left to corrupt Political practices… The Indira Priyayadarshini Khan days are over and so is Sonia Khan’s days… We have committed Nationalists in charge who are capable of adopting the best brains in our Air Force to chart out our present and let NG term needs and goals…. the fact is this that right from first prime minister of INDIA to 2013 no one did anything to make a self sufficient country.. all were very busy filling there pockets , fooling poor people ..most of the wise citizens ran away to study outside.. its not a garment to just make it for the sake of making. everything here is chalta hai attitude! even a error of .00001 mm is accepted as if its after a ZERO. Everything here is compromised. even if there are aircrafts made in India there can be corruption. its a habit / disease on its own. it will take more than 100 years to set things on track. many generations have to waste their stamina.. just to clear all the dirt which politicians have done so far. There are too many factual errors in the article on the Rafale and the Mirage 2000. A/M Ahluwalia has forgotten that the Hawk ac we use for training is a frontline fighter for the RAF and that it is best suited to operating in hilly terrain. Mig21,23 almost dead, we are left with Mig27, 29, Miraz2000, Jaguar and Sukhoi 30mki. Rafale and Tejas new additions. Most probably Rafale would be L1 in mmrca2 too as same vendors in fray as in mmrca1. Let’s build rafales in India and HAL to full fill existing contracts worth 1L crore. Nonsense. In 1980, the IAF brought to the attention of the Govt that USA had agreed to provide Pakistan with 40 F-16 ac, to be summarily brushed off. In 1982, the Govt was panic stricken when the first F-16 arrived in Pakistan. In a knee-jerk reaction, the Govt ordered 40 Mirage 2000 off the shelf with a follow on order of 9 as war reserve. 7 more were acquired later. As brought out by you, the USSR prevented us from making the best decision ever, had we done so then, of buying 47 and then setting up a production line in India. The IAF was wary of the intention to get the most over-staffed, under-performing, incompetent and inefficient aviation org in the world, HAL, to produce the aircraft. We had lost more than our share of pilots and ac to improperly produced ac. The Govt did not understand the concept of a two-front war and limited the overall strength of the IAF to 39.5 Sqns, the half Sqn to be the maritime Jaguars at Pune. This decision forced the IAF to prune its requirement of 126 ac to 88. I commanded 1 Sqn from 92-94 and in my tenure, 1 Sqn was rated the best Sqn in the IAF two years running. I handed over command to Wg Cdr Chopra. In 1994, a case was made for the purchase of 88 more Mirage 2000, and I drafted this proposal. I think I should know more than outsiders who have ventured ill-founded opinions. The IAF was willing to accept the 2000 H, as stated, but wiser counsel prevailed. Dassault again offered the entire production line of the ac and TOT to let us build as many ac as we wanted. The offer was rejected. The two-front concept was accepted and this led to the never-ending MMRCA drama. 126 Rafale were to be acquired, 18 off the shelf (first delivery in 18 months after signing the deal). Since the number was so large, the IAF decided to upgrade TWO bases, unlike the Mirage case, where only one base was found to be adequate, with the ac able to move to 4 forward bases within a couple of hours, with a dozen ac stored elsewhere. In today’s online and technical world, proximity is no longer an issue. The critical point here is the cost of infrastructure. The minimum for the Mirage were a basic trg simulator, a separate twin-dome air combat simulator radar bays, laser equipment and bays, dedicated training aids, engine repair sheds and a remote run up bay, WAN, blast pens, underground bomb dumps, etc. The total cost of infrastructure was in the thousands of crores. The infrastructure for the Rafale will be far more than spent for the Mirage, and at TWO bases. Reading between the lines, the Modi Govt is aware that the earlier deal fell through because Mr Antony and Co insisted that HAL be included in the deal and that Dassault sign up that they were offering a guarantee of quality for HAL produced ac. Dassault, like Boeing and the rest of the world, considers HAL to be a worthless organization. They opted to forgo an 8-8.5 billion dollar deal rather than vouch for the sub-par HAL. I will not talk about prices and conduits, as I am only a professional pilot and blissfully unaware of such matters. I am convinced that ?59,000 cr is a reasonable figure which would be around ?53-54,000 cr had we opted for just the one base. We are certainly going to buy 36 more Rafale ac. We will stop at that figure because we are being saddled with the obsolete Tejas and the unreliable SU-30 MKI. They will make up the numbers. Incidentally, the Tejas is only 20 years behind schedule. 75% of that ac has been bought abroad and assembled in India. The SU-30 MKI is truly a sensational ac, if and when it gets airborne. A/M Ahluwalia has missed out the Hawk ac, a frontline fighter ac in the RAF and best suited to mountain warfare. 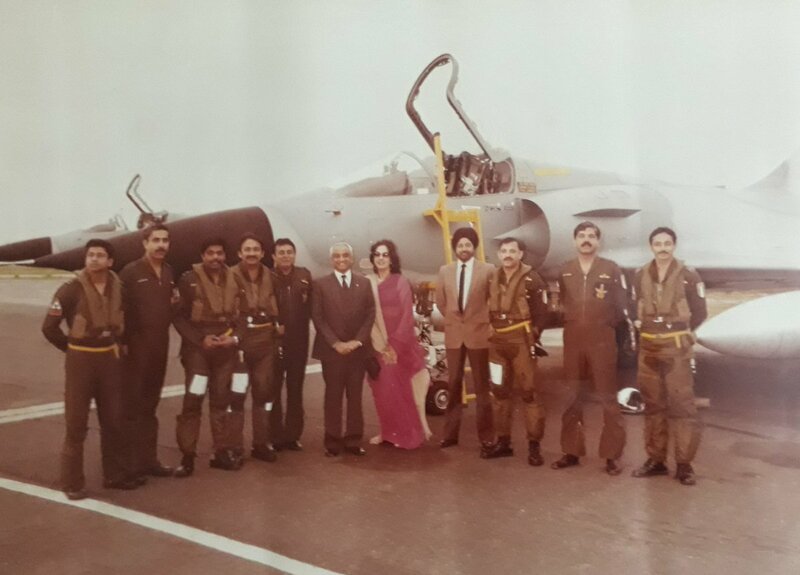 L-R: Flt Lts Rajguru, Bhasin, Sqn Ldrs Swaminathan, Apte, Ahluwalia, Ambassador ACM Idris Latif, Mrs Bilkees Latif, Air Cmde T Singh, Wg Cdr Bhavnani, Sqn Ldrs Moitra and Chopra. Your post added more value than the blog above. We must understand the philosophy behind making aircrafts. There is a prime assembler who is engaged in design,development,assembly,quality control,testing and certification of aircraft. Then there are vendors who make major unit assemblies like engine,avionics,airframe,armaments etc. These vendors also depend on sub-vendors.This makes techno-economic sense considering economies of scale and quality. To say that India should make every thing and produce aircraft is not a commercially viable proposition.Production,manufacture and assembling are strategies which have to be considered before taking a final call. There are cost implications in getting aircrafts in fly away condition,assembling in India and producing in India. No wonder we don’t have any manufacturing plant for Boeing and Airbus commercial aircrafts. However,we must have MRO facilities within the country.Informed discussion on this subject is possible if all the information and facts are known. India needs to build its own military equipment or it will never be a serious or consequential nation ever.